Retailers who rely on CATAPULT eliminate fear, uncertainty, and doubt. Instead, they find confidence in the decision-making process. The reporting and analytical tools found in CATAPULT will optimize your decision-making process so you can be certain about the roads your enterprise chooses to travel on the journey to success. See everything: With CATAPULT Web Office you gain 360-degree insight into enterprise information. Reports are established from best practices and user requests. Each report can be filtered by a multitude of data dimensions. The reporting possibilities are endless. The ability to compare several departments, to sales, to inventory quantity, changes the way we look at everything. Having the ability to look at real-time data in a matter of seconds, the benefits are immeasurable. 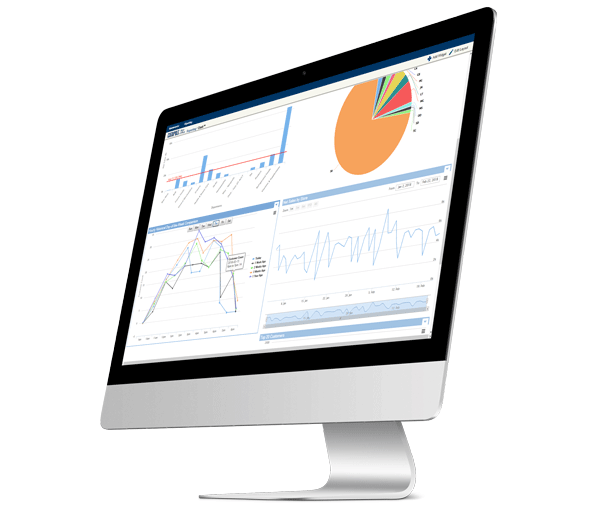 CATAPULT features a built-in visualization intelligence tool, Dash™. 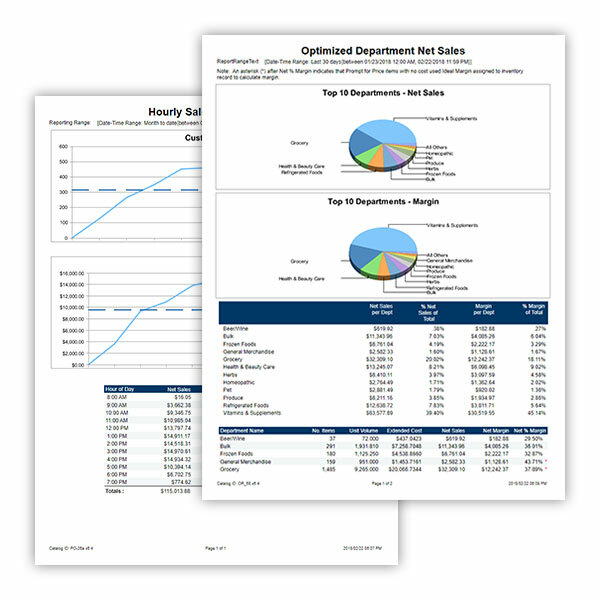 Using graphical “widgets” Dash allows executives to see their most important data in graphic form. Build powerful business live dashboards by executive user with automated minute-by-minute refresh. Each visual graph can be updated live based on user refresh settings. Each user can configure their dashboard based on their preferred layout and most used data widgets. Some examples of Dash “Widgets” include Net sales by store, item movement (cost vs. sales), hourly historical day-of-week comparison, supplier fulfillment rate, supplier purchases, anti-theft, sales by adjustment comparison, store sales, top customers, cashier negative quantity, inventory adjustment quantity, inventory adjustment cost. Briefcase™ – OLAP Cube is a a high speed decision support system that can quickly provide insight into the whos, whats, whens, wheres, and whys behind product sales, profit margins, customer habits, store performance, supplier performance, and employee efficiency. Online Analytical Processing Cube (OLAP) is designed to empower retail executives to view and compare key information within their retail enterprise including: daily sales, hourly statistics, customer activity, items on-hand snap shots, and promotions. 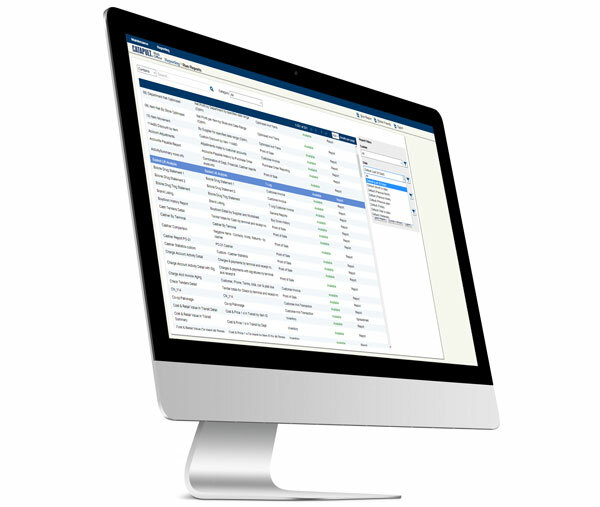 Executives can quickly find answers to thousands of questions. With Briefcase, your ability to quickly gather data and populate your most demanding excel spreadsheets will be turbo-charged. Transactional data automatically synchronizes with Briefcase OLAP Cube. Once the data is synchronized the user is free to disconnect and go mobile. This lets you work when and where you want. Summarized data marts are organized along business lines, users can retrieve the reports they need without involving IT. This provides management with quicker access to information. Not only can Briefcase deliver the data in the form you need it, but best of all it delivers with blazing speed. Get to your answers faster using the power of a dynamic OLAP cube. Briefcase is good for getting reports, and it’s easy to use for those who do not know Excel that well. They are able to get easily readable reports. I can see more of our users relying on this in the future.